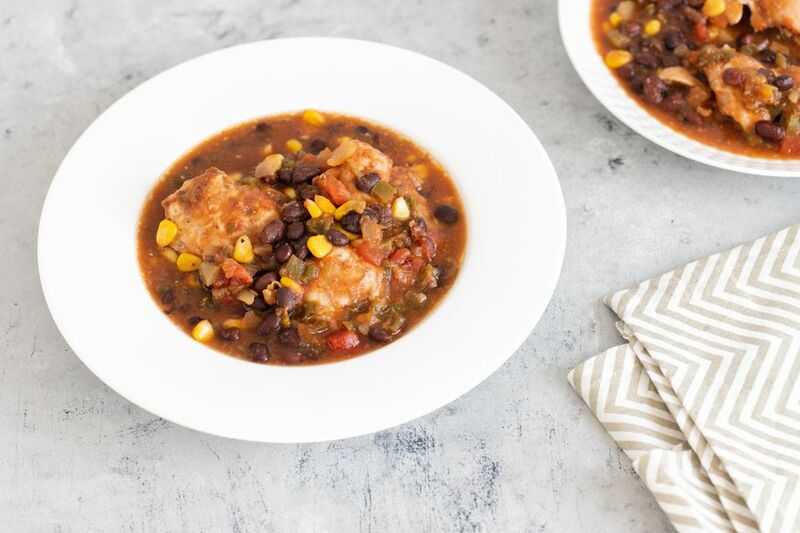 If you're looking for an easy but tasty chicken recipe for the slow cooker, this is a great choice. Boneless chicken thighs are economical and simple to prepare and cook in the slow cooker. This dish is delicious over hot cooked rice or Mexican-style rice and a salad. Remove excess fat from the chicken thighs. Put the trimmed chicken thighs in the slow cooker. Add the corn, beans, chile peppers, salsa, taco seasoning, and pepper. Stir to blend ingredients. Cover and cook on LOW for 5 1/2 to 6 1/2 hours, or until chicken is tender. Serve with your choice of sides and enjoy.